The shortest day of the year, and a full moon. 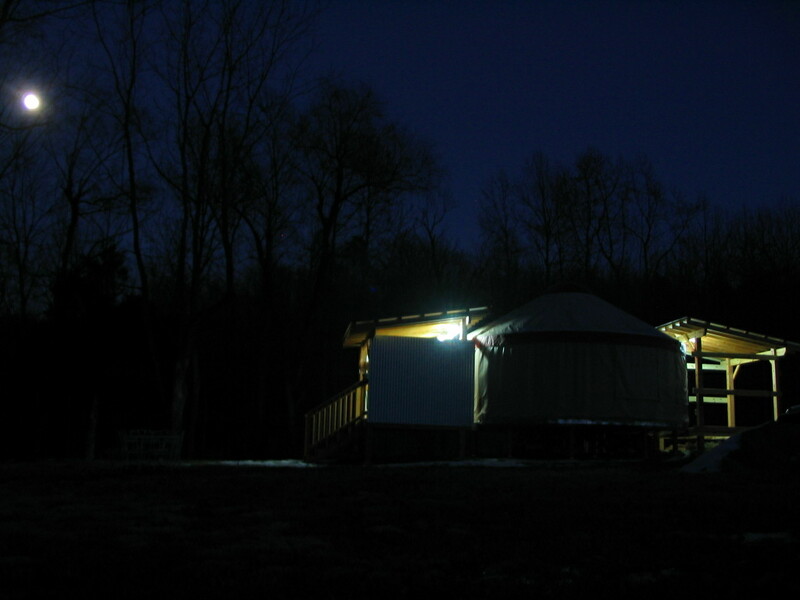 Gavin has finished the electrical work on the front porch, so we have light on both sides of the yurt now. The photos of the solstice and snow are beautiful! Wish I could zap myself there for an afternoon walk! I can envision the shed and fenced area. Do you have any idea when you will need help planting for the upcoming spring? We are hoping to do as much direct-seeding this year as possible, but I’m sure there will be plenty of transplanting also. I imagine most of the transplanting will happen in May, if all goes well with starting seeds.